CHERP maximizes the impact of health equity research. Judith Long, MD; Melissa Dichter, PhD, MSW; Sonya Borrero, MD, MS; Michael Fine, MD, MSc. The Center for Health Equity Research and Promotion (CHERP) is a VA HSR&D Center of Innovation (COIN). We are a dual-site, cross-VISN center, with investigators in Pittsburgh and Philadelphia. 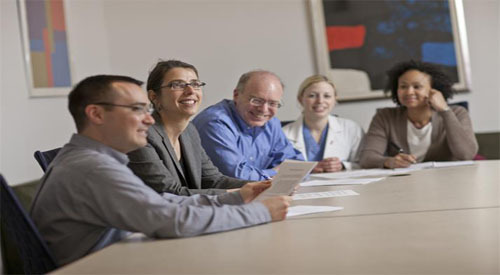 CHERP investigators lead or collaborate on projects supported by HSR&D, AHRQ, and NIH. Many of these projects are aligned with our focus on the quality and equity of health and health care for vulnerable populations. CHERP investigators are also engaged in other funded initiatives. Our Pilot Research Program continues to catalyze funding of full-scale research projects aligned with our mission. Click the link below for a list of the funded projects that CHERP investigators are currently involved. Health disparity is defined as clinically and statistically significant differences in health care or health status between distinct vulnerable and less vulnerable populations linked with social, economic, and/or environmental disadvantage and an elevated burden of ill health or premature mortality. Such disparities adversely affect groups who have systematically experienced greater obstacles to health or health care based on numerous characteristics linked to discrimination or exclusion. CHERP Investigators may access the CHERP SharePoint Site by clicking on the CHERP link below. Please note: Access to CHERP SharePoint resources via this link is limited to CHERP Investigators, must be done from a VA computer, and requires your VA log-in credentials. CMCVAMC CHERP Investigators may access the Grants SharePoint Site by clicking on the Grants link below. Please note: Access to Grants SharePoint resources via this link is limited to CHERP Investigators, must be done from a VA computer, and requires your VA log-in credentials. The Veterans Health Administration (VA) provides care for individuals who are more likely to be racial and ethnic minorities, older, and poorer than the general population. Although VA provides a health care safety net, disparities in health and health care exist for many vulnerable Veteran populations and are associated with increased risks of disability, illness, and death. In addition to individual, provider, and health system factors, disparities may originate outside of the health care system and involve personal behaviors and social and community influences. As a health system committed to delivering high-quality, equitable care to all Veterans, VA must identify vulnerable populations, understand the root causes of disparities, and assess interventions to eliminate them. Goal 1. 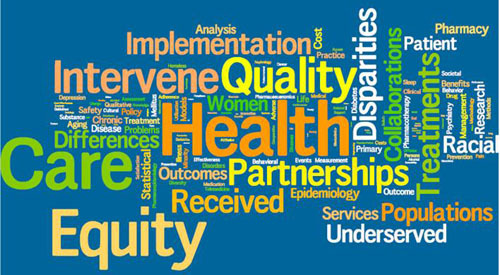 Advance understanding of the determinants of the quality and equity of health and health care and design, test, implement, and evaluate interventions to improve health and health care for vulnerable populations (primary focus). Goal 2. Improve the health and health care of Veterans through HSR that investigates the usage patterns, efficacy, comparative effectiveness, safety, value, and equity of clinical therapeutics (secondary focus), and through other innovative HSR beyond our focus areas. Goal 4. Enhance mentoring, training, and educational programs to increase VA capacity for HSR in high-priority areas, implementation science, and partnered research. Goal 5. Provide service and leadership to key internal and external stakeholders. Goal 6. Augment infrastructure to conduct high-impact HSR, support the translation of research into clinical practice and policy, and develop research methods and products of value to stakeholders. As a national Center of Innovation, we have advanced our cross-center research program through partnerships aimed at improving health care experiences and patient satisfaction with VA health care among vulnerable populations. We also have supported an emerging area of research concentrated on improving the quality, safety, and value of clinical therapeutics in the VA and beyond. CHERP leaders consistently respond to new opportunities to communicate the value of our research to VA leaders charged with ensuring the quality and equity of health care for millions of Veterans. 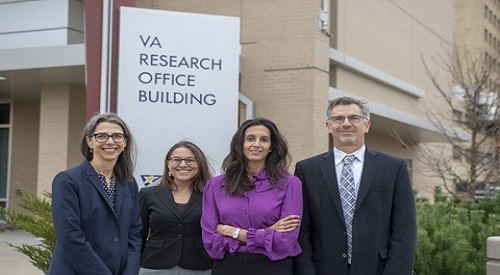 CHERP Investigators are at the forefront of efforts to evaluate the impact of VA's implementation of the patient-aligned care team model of care and efforts to translate VA research findings into clinical practice. The VA Center for Health Equity Research and Promotion (CHERP) was established in 2001 by HSR&D as a national Center of Excellence focused on detecting, understanding, and reducing disparities in health and health care in vulnerable populations. This strong collaboration between the VA Pittsburgh Healthcare System (VAPHS) and Philadelphia VA Medical Center (PVAMC) in VISN4 and their respective academic affiliates (University of Pittsburgh and University of Pennsylvania) was built upon the collective and complementary strengths of the investigators at both sites to target an area of investigation of highest priority to the VA Healthcare System and the nation as a whole. Built upon a track record of scholarship, cross-center research collaborations, development and retention of highly accomplished investigators, service, and well-established partnerships, CHERP became a Center of Innovation (COIN) that has measurable impact on the quality and equity of Veteran health care. CHERP investigators have conducted innovative, high impact health services research; advanced the conceptual underpinnings of health equity research to facilitate the work of others; partnered with operations and policy leaders on research and quality improvement initiatives; promoted the implementation and dissemination of findings to improve the clinical care and health outcomes of Veterans; and supported the development of junior investigators who have become leaders in this field. CHERP provides infrastructure and support for approximately 37 core investigators engaged in health services research at the VA Pittsburgh Medical Center and the Crescenz (Philadelphia) VA Medical Center. CHERP Investigators fulfill not only national service roles, but also fulfill important service roles across a broad array of academic societies, research organizations, and within their local VAMCs, VISN4, and affiliated universities. CHERP investigators hold national leadership roles that position them to shape health care policy, improve clinical care, and impact research priorities and dissemination. NEW OPPORTUNITY! CHERP Pilot Project Program for VISN4 Investigators. Applications Due May 15. CLICK HERE FOR INFORMATION AND APPLICATION FORM. Now is the time to prepare for the Spring 2019 cycle for HSR&D Pilot and Merit Review project funding applications. Go to the VA HSR&D website for general information. For individual guidance for CHERP Pittsburgh investigators, please contact Kelly Burkitt, PhD, at Kelly.Burkitt@va.gov. CHERP Philadelphia investigators may contact Kimberly "Max" Brown, PhD, at Kimberly.Brown6@va.gov. The VISN4 CCDF supports physicians, doctoral-level (Ph.D.) clinicians as well as other clinicians and non-clinician research scientists who are developing or continuing research in the VISN 4. The goals of the CCDF is to provide support for early career development, of VA investigators who can apply successfully for competitive, external, peer-reviewed grant support at a later date and to provide support for established investigators to develop new lines of research and secure new funding. Please note that the deadline for 2019 applications has passed.